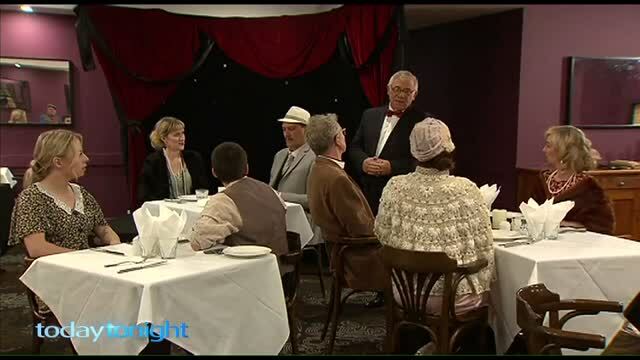 CLUEDUNNIT MURDER MYSTERIES is one of the best and longest established murder mystery dinner theatre companies in the UK . We are proud to announce that we are now here in Australia , and able to provide high quality murder, mystery & mayhem in WA . Based in Perth with a team of over 20 actors we offer our clients a State wide service. On behalf of everyone who attended the Cluedunnit Murder Mystery night on Saturday night we would like to thank you for an excellent night. Everyone had a great time and thoroughly enjoyed themselves – your actors were outstanding. Will definitely recommend Cluedunnit to others in the future. Not all murder mystery companies are the same and standards can vary considerably so please make sure that your ‘Whodunnit’ is a CLUEDUNNIT ... satisfaction guaranteed. "Murder is always a mistake...one should never do anything that one cannot talk about after dinner"
Q: How did Scotland Yard get its famous name? A: The name derives from the location of the original Metropolitan Police headquarters at 4 Whitehall Place, which had a rear entrance on a street called Great Scotland Yard. The Scotland Yard entrance became the public entrance to the police station, and over time the street and the Metropolitan Police became synonymous. Birthdays, team building and weddings! Please see below for the current venues and the dates. Use the link provided to go directly to the venues website - or call their booking number. We are Dying to entertain you!